When you are new to the game and have not your path to success (yet), you probably hop from one piece of information to the next, sucking up all the tips, social media best practices and success stories. The problem is that there is some horrible, outdated and often simply wrong advice still floating around. And for a newbie without any experience and knowledge it is extremely difficult to figure out which tips are legit – and which tips will at best get you nowhere – at worst the tips will hurt your blog, business, and marketing. Many people are sooo afraid to post too often that they kill all chances of social media success long before they really got going. They post so seldom that their fans and followers have a hard time remembering who they were and how they met before they get the next update. The truth is: Most people don’t post enough on social media. For Facebook once a day is rather the minimum than the maximum, for Twitter once a day is as good as not posting at all. Pinterest best practice tips range from 30 to 40 pins per day and Instagram is more like: Post as often as you like as long as you have great images. Do you really believe that? Be honest: If you follow a page on Facebook, do you follow the page because you love what they do and like to know more about it – or are you following them because you want them to give you a daily news update on everything they can find? Posting on social media is about providing value. If you have enough valuable content and information you can share, feel free to share it, even if it is your own content! While you should not blindly automate all you can, once you understand what you are doing on social media, automation will be a game changer and the key to unlocking social media marketing success. Or how do you think all the successful gurus post multiple times per day on Facebook, 30 to 100 pins on Pinterest, 20 – 50 tweets and several images on Instagram? They use tools and automate at least part of their social media activities. Honestly, how can you expect other people to follow you if you are too afraid to make the first step and follow some people? It is a two-way street. You need to be willing to connect if you want others to connect to you. Simply keep in mind, who you want to connect to? Make sure that at least a large part of the people you follow is from your target audience. I have been attacked on Twitter for not following someone. Really? How can that be in my interest to follow back everyone who is following me? Only follow back people that you are interested in – and if you follow people, never get angry at them if they don’t follow you back either. Don’t take it personally. Nope. It just might not be the optimal frequency. You have to watch your numbers and figure out what works best for you. Also, if you post you need to provide value. Don’t just post often because you think you should. If you don’t have something valuable to share, don’t post. But if you have a ton of value to share, feel free to post more often – it can well be a game changer and give you a boost in traffic. Do you always tweet your content once – and then never again? Bad. Only a fraction of your followers will have seen this one tweet. There is nothing wrong to tweet the content again – and again. Make sure you share a large variety of content – but you can and should tweet your content again at a different time of the day. For Facebook, it is slightly different because their algorithm will know that you repeat a post you already posted. But even on Facebook, you can re-share content that you already posted. And your audience will love it – because most of them will either not remember that you already posted it, or they did not even see it the first time around. This is one major myth that is killing opportunities for many young businesses and bloggers. The hard truth is: if nobody knows you exist your content will not spread – no matter how great it is. Even great keyword research will not do the trick in most cases. There is already so much content floating around that there is (almost) no niche where there isn’t already a ton of content floating around – with more backlinks and a larger audience than you have if you are just starting out. 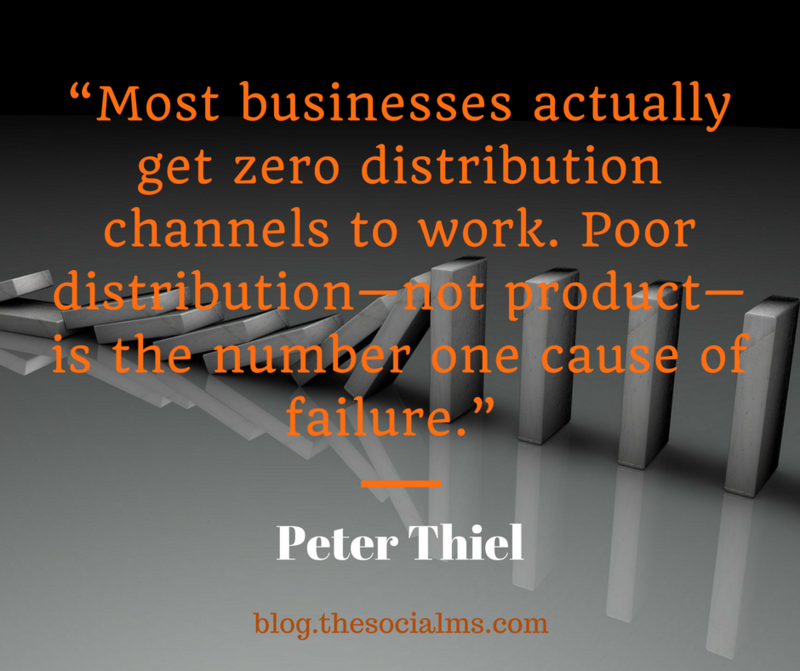 Don’t sit back and wait for a miracle – take your success into your own hands and start distributing your content! So you found a set of rules that you think make sense and now you follow them, but unfortunately, you cannot see any success? Change your strategy. In online marketing, rules are not fixed. Things (and the networks) change on a daily basis. If something was best practice and worked for someone yesterday, it can still be different today – or not work for your niche. Watch your numbers, question and test everything – and create your own best practices. You have this one awesome blogger who made it to huge success? And now you try to recreate every step of their success journey? Could work – but does not have to work. You are a different person, you are in a different situation – and things change. How many years ago did that blogger start out? How many competition did he have – and much competition do you have? Take Pinterest for instance: There are still success stories and best practices floating around from bloggers who started a couple of years ago BEFORE Pinterest introduced the smart feed – never ever will you get to success, if you follow one of these stories. Many first-time social media marketers try to stay very serious – but truth be told, the best and often most efficient social media campaigns or strategies play with emotions. Staying too serious and focusing only on the business side often fails to trigger the emotions that turn visitors into fans or subscribers and fans into customers. Good marketing evolves. The big advantage of online marketing is that you can test, interpret and adjust in quick succession. The best marketers are the ones that are open to change, are creative and come up with new ideas and changes all the time. Even if you found a great marketing strategy that gets you a ton of traffic and sales, you need to be open to change. Because the online marketing landscape evolves all the time. There is a ton of data available. Knowing how to use that data is key to digital marketing success! If the social networks or Google Analytics does not provide you the data you need – check some social media marketing tools. Most of them provide you with awesome analytics and statistics to help you to figure out exactly what is going on. When we started out we had no clue about marketing on any of the major social networks. We ended up trying everything at once and getting nothing. That changed when we figured out Twitter. Marketing with Twitter was the game changer for us. All it took to get our marketing on the track to success was to find ONE social network that really worked. If you find your one traffic channel that you can tame and scale, some of the other traffic channels will either fall into place or be much easier to tackle with a little cross promotion. A while ago there was a startup story floating around Berlin: They were really proud of growing their Facebook Page to an impressive number of fans mostly via advertising. The problem was, that most of these fans were not interested in what they were doing, the Fan page was really unresponsive, the startup was German but the fans were mostly from India and other Asian countries. The problem is, that the number of fans or followers will not pay your bills if they are not targeted and engaging. There are many examples of blogs, business or even people winning big with social media but they don’t have so many fans. When we were still running our startup, we started seeing measurable results from Twitter when we only had a couple of thousand followers. And on networks like Pinterest the number of followers is even less important because many people find content via the search function. A while ago in a workshop, one of the participants asked us why we are not doing more with video on Facebook. After all, video is the BIG thing right now. The reason is simple, creating video content is a lot of work, We already have big-time marketing success without going for video. And maybe video is not so much our thing – we are more like writers. Our blog, our subscriber list and the list of customers are still growing. Because we have a ton of traffic from other channels like Twitter and Google – for us it is a simple equation: We don’t want and need to invest the effort into creating a ton of videos for Facebook. For someone else who loves videos that might be a totally different story. Did you know that there are some straight-forward processes that can help you and almost any other blog or business help to grow an audience from Twitter – no advertising involved. There are many blogs – including our The Social Ms blog and Jeff Bullas – who built their traffic with Twitter. A large part of our traffic still comes from Twitter and it is not going dying down. That is so totally wrong. 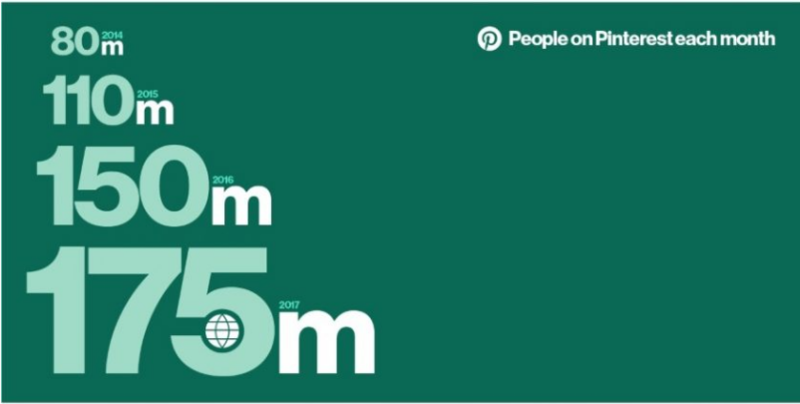 Over 175 millions of people are active on Pinterest and a lot of men are starting to discover the power of Pinterest, too. While there may be some niches where it is easier to unlock the full power of Pinterest it is not that other niches are not present on Pinterest. The truth is that if you are looking to drive traffic to a website from Pinterest, you should consider the search function of Pinterest and do some sort of SEO for your pins. This way not only your followers will be able to see your pins but you can also unlock the tremendous power of the Pinterest smart feed and search. While SEO for Pinterest should be a must, not considering the social aspect of Pinterest is also wrong. The smart feed is strongly based on multiple factors. 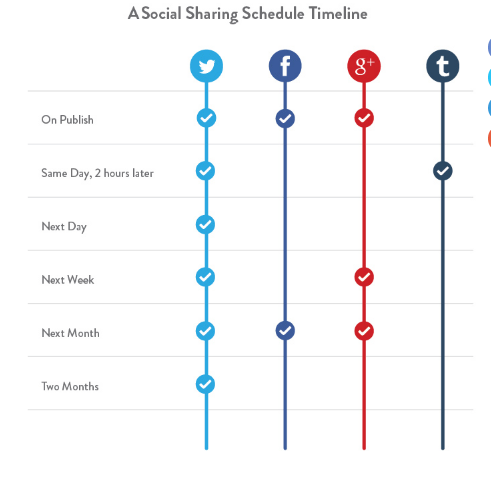 And one of these factors is who is following who and who is sharing your content. Pinterest recently took a major step towards some of the social media functionality by (re-)introducing hashtags. 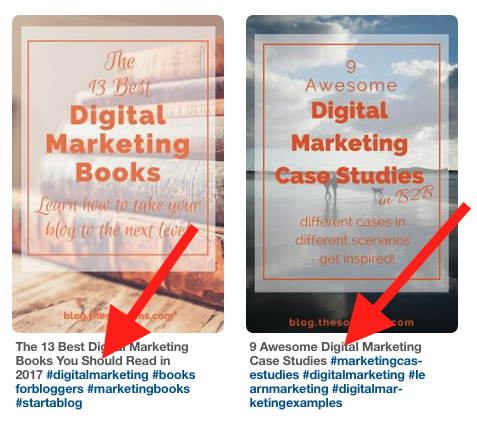 If you want to unlock the full power of Pinterest you should now also look into hashtags (That is new as of October 2017). 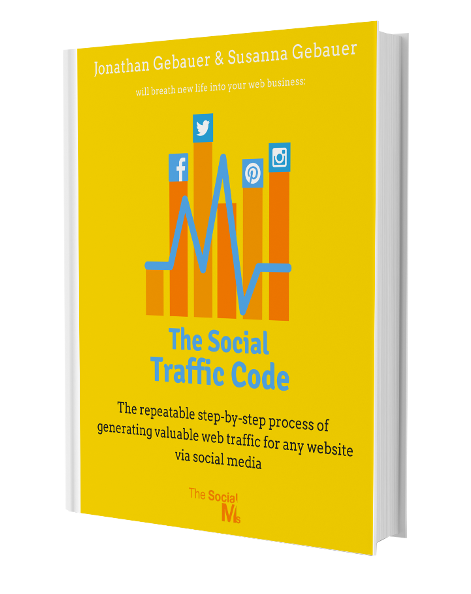 Most people today look for big-time traffic from the major social networks or Google search. But for many niches, it would be much easier to see first results quickly by going through niche forums. These can be on-topic Facebook groups or LinkedIn Groups but also special interest niche forums on very targeted topics. Since targeting on them is often much better than you can do on the BIG outlets, you can often see better results, build valuable connections and have a lot more fun by talking to people that share your interests. Many people see email marketing as something impersonal or rather a shout –out medium. That is not how it should be. Good email marketing is your chance to connect and build a relationship with your audience. You have the chance to start a conversation, have more than one point of contact and build trust. You can often connect via email much better than with loose contact in social media. That is a chance that many bloggers, marketers and business owners are missing. These are just a few of the misconceptions and mistakes we have encountered throughout our marketing activity. 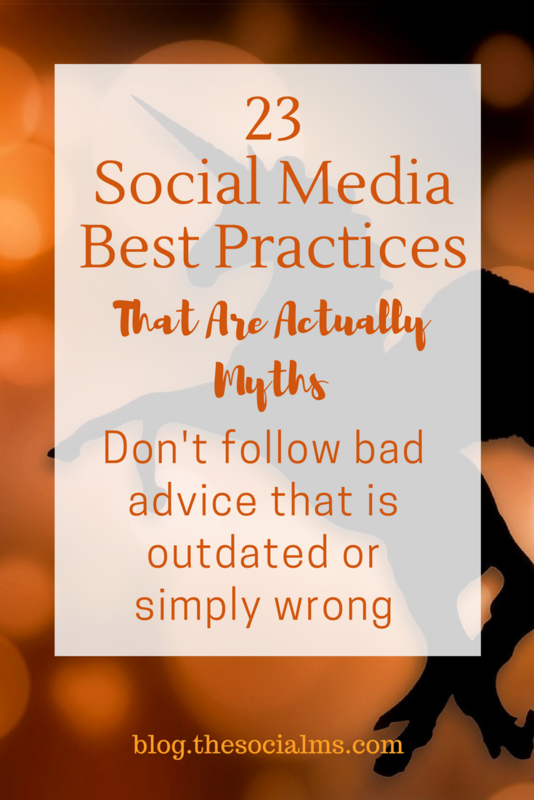 I am fairly sure there a lot more myths floating around and misleading some of the more inexperienced bloggers and marketers. 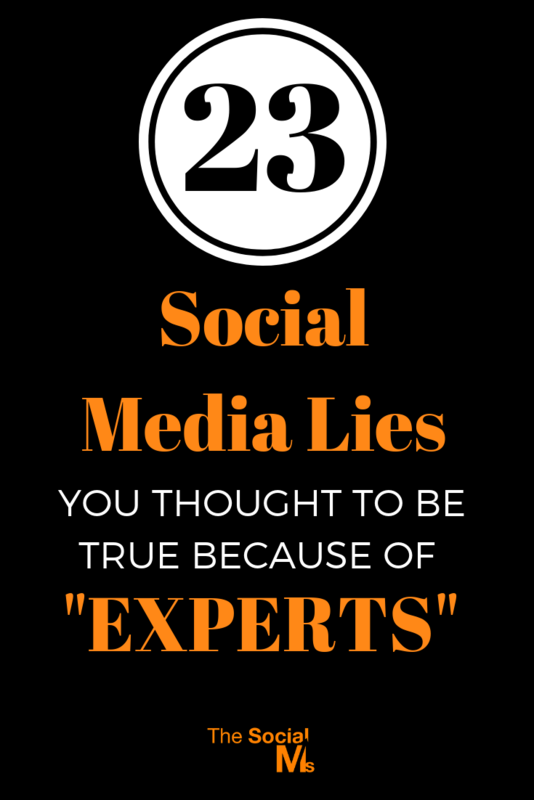 Which social media myths have you encountered? Which mistakes have you made due to misleading advice? Do you want to grow the traffic to your blog or website – even if you are totally new to the game? We give you the exact steps that we took to grow our newly created The Social Ms’ blog to 50k visitors per month from social media in just over 6 months. This process works in almost any niche – and we show you the exact steps you need to take to see the traffic success for your blog. Because there is no excuse NOT to grow your blog.